“This banjo has been put together in two stages. The first stage involved noted banjo builder Wyatt Fawley of Greensboro, PA building a neck and resonator for a mid-sixties RB-100. 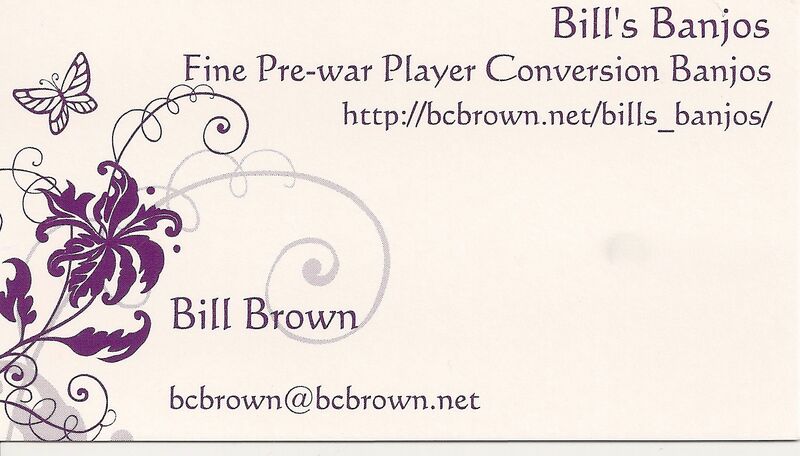 That banjo simply did not have the sound I was looking for and I then contacted Mr. Bill Sullivan of First Quality Music of Louisville, KY to put together a complete pot for the neck and resonator which were (and are) outstanding. 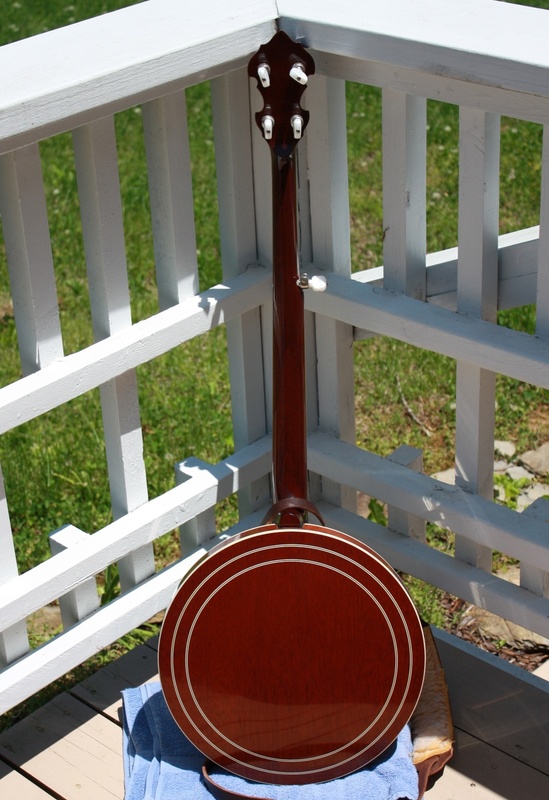 The pot is based on a Tennessee 20 tone ring, Cox (or possibly Cooperman ) rim and First Quality hardware. 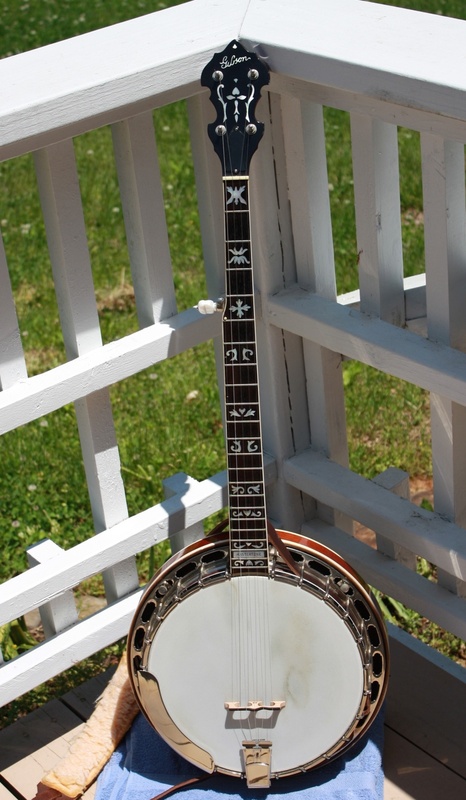 The resulting replica (copy) is an excellent banjo and after being together for a couple of years, in 1999, I sent to Janet Davis Music of Bentonville, AR for a complete set up. The banjo came back as one of the best banjos (to me) that I had ever played and it served as my primary banjo of choice until around 2005. Click HERE to view individual high-resolution photos or go to photobucket for easy navigation or slideshow of photos.